I’m trying to get back into blogging. I was told by quite a few people that they’ve been disappointed when they check the blog only to see the consistent lack of updates. I’ve never been very good with words, and I think that’s one of the main reasons I’ve been so deeply into photography. As a socially anxious person, photos have allowed me to capture a moment and tell a story much better than I can in person. It’s been a crazy couple of years, I’ve gotten engaged… I’ve been heavy into wedding photography, and have moved out to Barrhaven where we’ve made a comfy little home for the time being… so I suppose now is better than later to pick up where I left off and share some of the fun we’ve been up to. We touched down in Barcelona after an 8hr flight with pretty little napping. 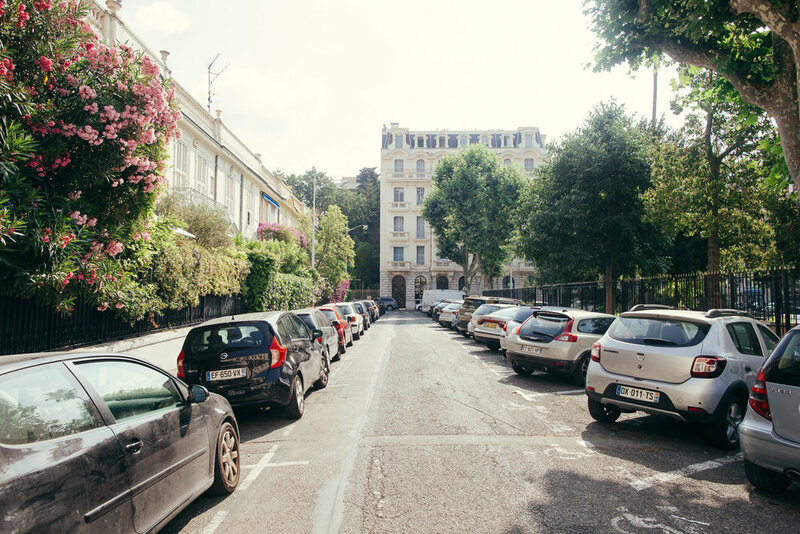 After the flight was delayed a few hours, we would’ve missed the connecting Easyjet flight to Nice, France… so instead, we rented a car and decided to have our first ever road trip in Europe. This was Kaila’s first time in Europe, ever… what could possibly be a better way to see the continent than to travel across a few countries in a car? The problem was, I got a bit cocky… I stupidly misjudged the traffic laws and assumed some of the highways were sliced portions of the Autobahn. What I didn’t realize is that there are a significant amount of speed cameras along most highways in southern France and North-eastern Spain. We absolutely nailed our Booking.com reservation. 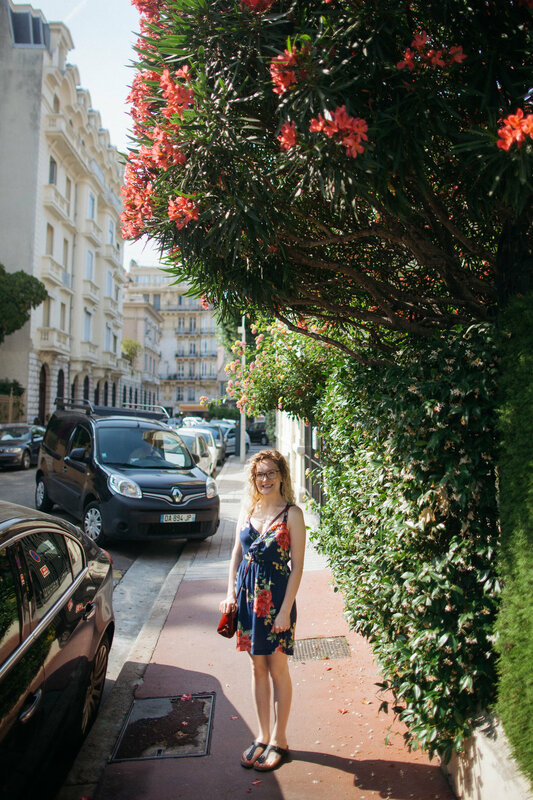 For Kaila’s first time in Europe, our hotel reservation just so happened to be the sweetest french woman’s apartment - it was an incredible little abode to come back ‘home’ to after a day of exploring such a beautiful city. Make note - this is the whitest you’ll see Kaila… in fact, the last time you’ll see her with anything other than the most intense sunburn you’ve ever seen. 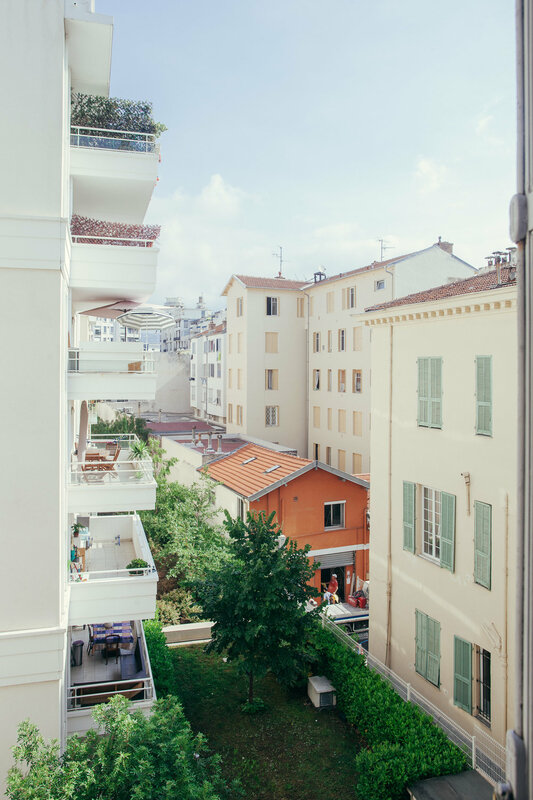 One of the coolest things from Nice, France was the feeling like you were in a southern California beach town - without actually being around that much AXE and surf hair. The biggest shock to me was how warm it was - WITH a ton of humidity, as well. I was under the assumption that it wouldn’t have been that much of a difference in latitude from our home. I was wrong. 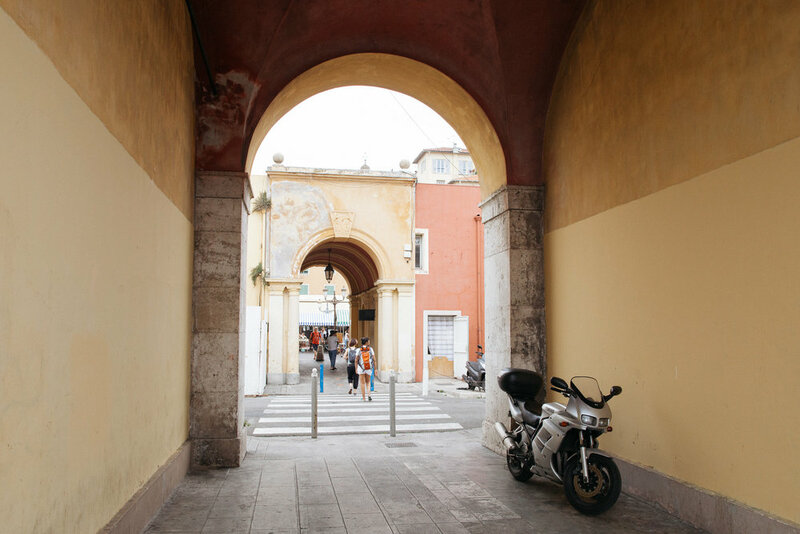 The palm trees, tiny city squares, and charming cafés made the experience unforgettable. She put up with a ton of road rage and angry city driving and still she smiles ear to ear. What a sweetheart. Seriously though, driving through a small European town without knowing exactly what the rules of the road are… is super annoying. I got honked at, stuck in dead-ends with roads too narrow for the conventional three point turn… I was happy we found an overnight parking garage to leave the car until we left the city. The next two days here were going to be incredible! My favourite part about these quaint ancient cities in Europe is how much pedestrians rule the road. There is never any question whether or not you can cross, so long as you’re not a lunatic or specially unaware. North America could take a few pointers from these four-way stops and roundabouts… for some reason they run a lot smoother here. There was something very obviously different about the air in southern France. Though the dumpster-filled alleyways had their own aroma, the main streets were littered with flora as colourful and delightfully eccentric as these. 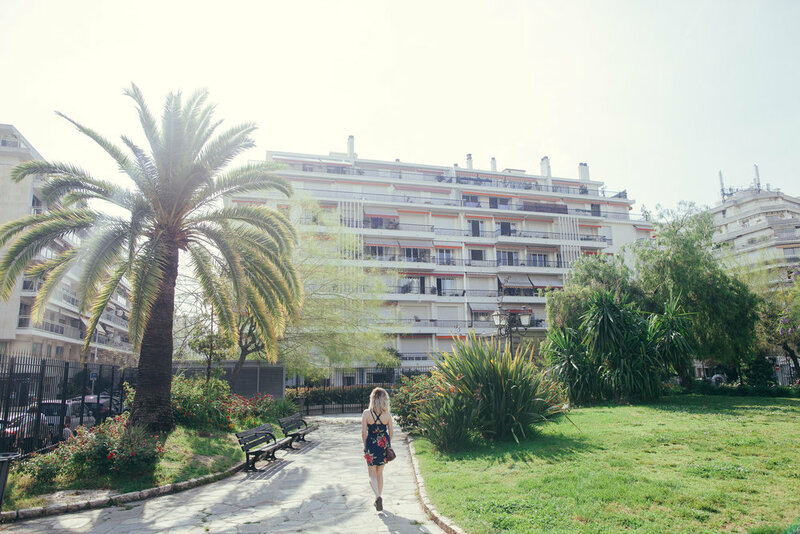 Nature was very prevalent in Nice, and it gave it a very comfy feeling walking the street. It was so so nice to have parked in such a lovely city after dealing with the panicked miscommunications at the toll booths on the drive from Barcelona. She hates this photo (’oh my god, look at my hair though’). But I think she looks perfect. The flora in the entire city was so beautiful, and what better subject matter to capture the colour than Kaila. We had an absolutely lovely time walking around town. Walking the promenade gave us a serious ‘Venice Beach’ feel (even though I’ve never been). The thing that impressed me the most was the lack of trash on the sidewalk. You’d find a few random cigar butts, but never a tumblebag or a crushed beer can. I say that, however the spots on the sidewalk of old worn-in gum were everywhere. Still, it was refreshing to see a clean promenade, without the colourful outline of garbage. Every so often we’d find these tiny little nooks - solely for pedestrians. I think that’s so cool. It’s not something we have everywhere in Ottawa, yet you’re regarded as an eco-turd when you’re driving your car around in Europe. Pedestrians own the streets, and how could you not love the feeling of walking around such a close-knit town? Everywhere you needed to go, you could get to within half an hour on foot… maximum. The stroll around Nice was absolutely perfect. Our bodies hadn’t quite acclimatized to the warm and humid weather so we were sweating up a storm… but every once in a while a Mediterranean breeze would cool us down. The end of the promenade led to this zig-zagging stairwell that we walked up to get a better and more ‘panoramique’ view of the beach. The problem with travelling to Europe is that you want to see as many things as possible. You’re in this broken mentality of “we have to see everything we possibly can in the short amount of time we’re there.” It’s impossible, and you need to redefine that expectation before you leave disappointed. Every single city you visit, regardless of size or reputation, is going to pull you in with the most porous core of culture and variety that you’ll wish you spent more time there. This is how we felt about Nice. The problem was, we only had a week to travel around in a car - and although it is Europe and cities / countries are a day’s road trip away, you can only see so much while sitting inside a car. 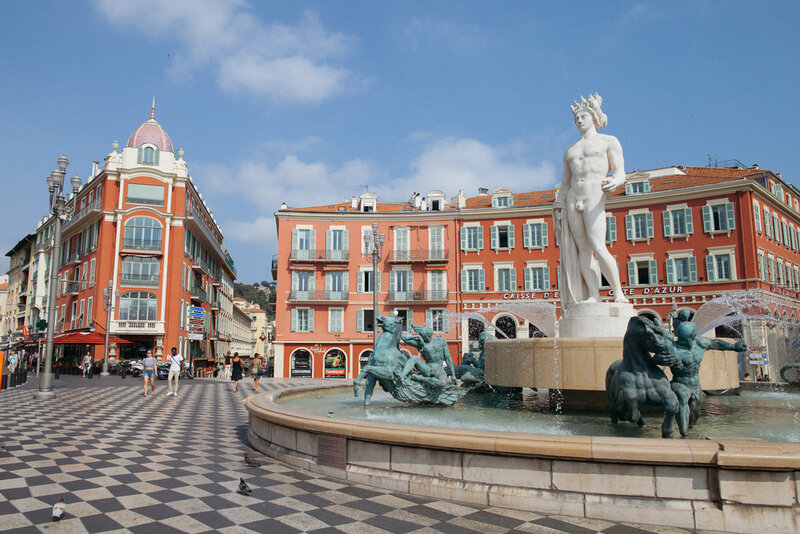 I knew that when we visited Nice, we’d want to stay for another day. We booked two nights for this reason, despite wanting to drive further to Italy. I’m very glad we did. Two nights wasn’t enough time to soak in even a minuscule percentage of what this city had to offer; the experience we had was rich and vibrant and we left with the ambitious comfort that we’ll be back soon. We were very fortunate to have such incredible weather during our time in Europe. No one hates monsoon driving more than I do. 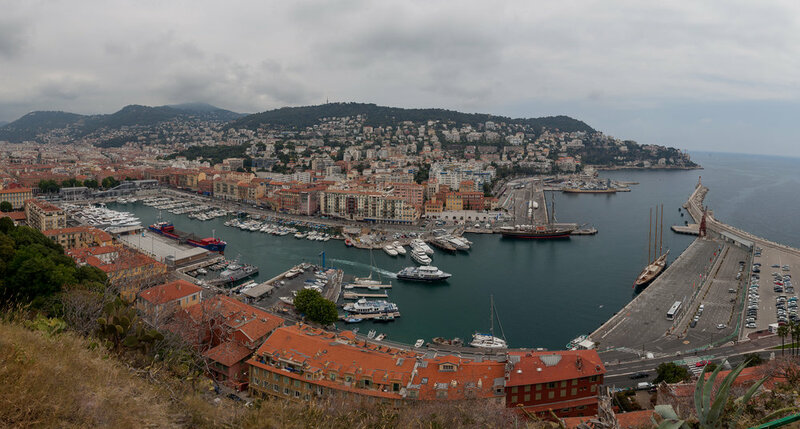 The view from the top of the ‘mountain’ in Nice was absolutely spectacular. Though the workout to the top of the stairs was exhausting, the payoff was incredible. Atop this belvedere is a sanctuary of trees and flowers, some beautiful old ruins, an archeological dig, and some of the finest tiramisu gelato you’d ever taste. Of course, it helps that the buskers were playing classical Parisian viola to really set the mood. Don’t let the overcast fool you as it did us - I’m still shedding skin from this sunburn. I felt like we could’ve stayed at the top of this little mountain all day. We had plans to meander around the town centre but this whole place was spectacular and magnetizing. Amongst the ruins and archeological digs are a variety of rooted trees and beautiful hedges. It’s the type of experience that only thousands of years of civilization can give you. What would stand the test of time for us? All of the solid rock-built buildings are being demolished to update to a new chic modern look - of fragile elegance. It’s nice to be able to cherish a view like this one in Europe, knowing that millennia helped it become like it is today. It’s crazy to me how you have the ability to walk amongst some of the most beautiful old architecture in Europe. There are no / very little barriers… all I could think of was if we had something like this in North America, there’d be a ticket booth, a few security guards, and a rope fence keeping you 100 ft away. The truth is, so long as you’re not an idiot, you’re not going to damage the ancient / historic artifacts… except the other idiots have ruined that experience for us. It was nice to be able to walk around and see all of this stuff for the pure beauty of European history, without having to pay admission and have a monitored tour. PS what a doll, eh? We continued meandering the top of the mini mountain to explore more of the natural vistas in the area. We came across a beautiful waterfall, though I’m sure it was man-made, and through the gazebo of trees we found a road to take us back into the city. It’s no surprise that nature and history owns the area. It’s great to see such a well preserved city that continues to pulse with activity in the modern era. There is this unspoken rule of if we treat things with respect, they’ll stick around for a while. Weird, right? It’s nice to see such a diverse crowd of citizens, young and old, take care of a city that is hundreds and hundreds of years old, and make it their own without disrupting the historical grandeur of it all. One of my favourite things about European towns is how fun it can be to just get lost somewhere. We weren’t using a map, we didn’t care where we were going… we just walked and meandered and checked out all of these cool little hidden gems. I find it extremely enlightening how much the outdoors play a role in daily life. No one really stays inside. In fact, with the weather we were having, no one should want to. Airconditioning isn’t as common / required as it is in North America. Instead, the windows are open, the flow of air is beautiful and just enough to keep you cool around the house… and people spend time on their balconies / front porches significantly more than they do in our neck of the woods at home. The density of the city played a huge part in the tight-knit community. The stereotype of yelling from one balcony to the other while airing out clothing on the railing… it’s totally true. I was forever dumbfounded by the skill / confidence of the city drivers in Europe. It makes Toronto drivers look like sloppy amateurs. I was just happy we were able to park for a full 48hrs so we could walk everywhere. No need to drive where we were going. One of the more admirable traits of European cities is their ability to ‘reuse’ old buildings. Places like Ottawa tend to build outwards with endless neighbourhoods (barrhaven, kanata, etc) and suburban communities. Cookie-cutter / copy&paste condo complexes pop up everywhere, and old buildings get demolished to replace with new. 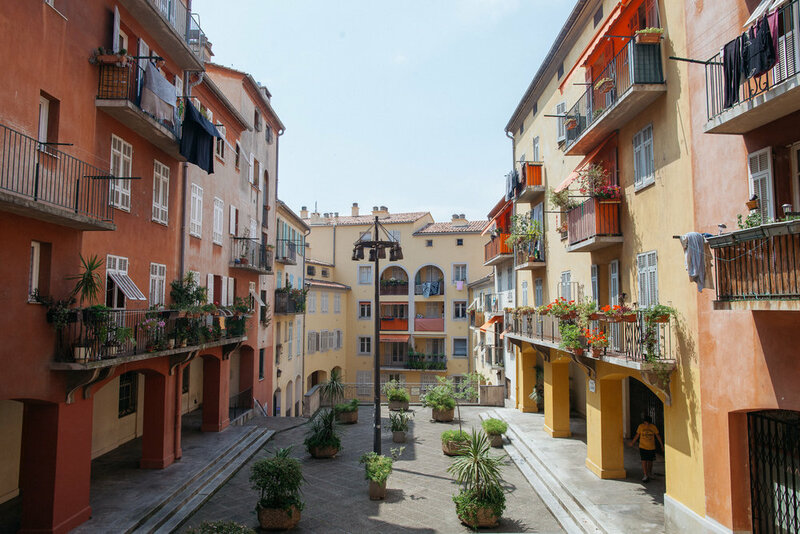 Here in Nice, the buildings haven’t changed at all. People live in buildings older than the country of Canada. Why build new when you can preserve and enjoy history? Now it makes sense - people are crazy drivers in Europe because their cars still look like tin cans when next to a five-foot-nothing woman. Seriously though - you’d need a car like this to navigate the inner streets of Nice. They are certainly not wide. So far, the experience has been fantastic. We’ve eaten french macaroons, crepes, french toast… all of the good stuff. 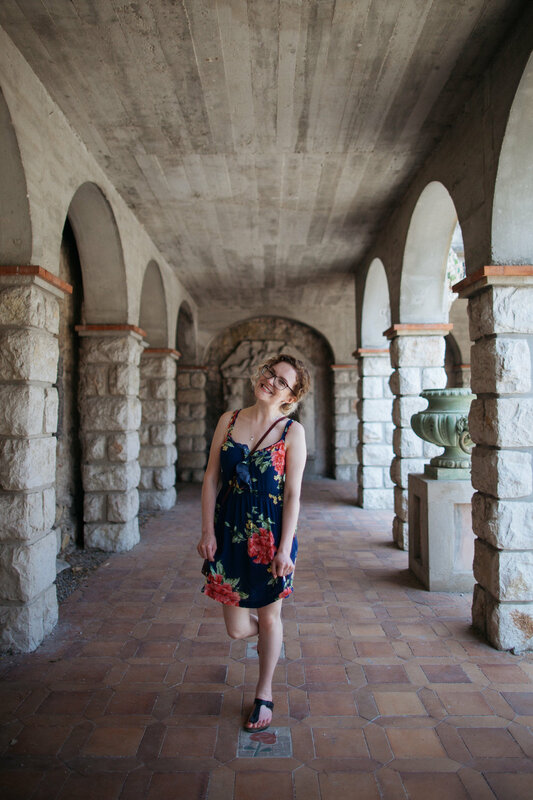 As a first-timer, Kaila was experiencing quite the extraordinary trip. My sister & brother-in-law had also done the drive from Barcelona to Nice, and they were planning on going for a swim this afternoon. After an exchange of a few texts, we figured out a time to meet up and explore the city together. Pedestrians and bikes own this city. It isn’t uncommon to find alleys much like this one that are littered with endless locked bikes. Kaila had already been bit by the travel bug. It didn’t take long. The cozy apartment, the cute and charming city, the culture shock and total immersion in a micro-community… it was all we could talk about. I’m sure we had exchanged several “we should just move here”s and “really though, do we actually have to go home?”. The trip had only just begun. This was our first full day here - we touched down yesterday in Barcelona and spent the day driving (no complaints… it was gorgeous). This was the first day of actual exploration on feet. Everywhere we turned was something different and exciting - it’s no surprise we wanted to spend endless amounts of time here. 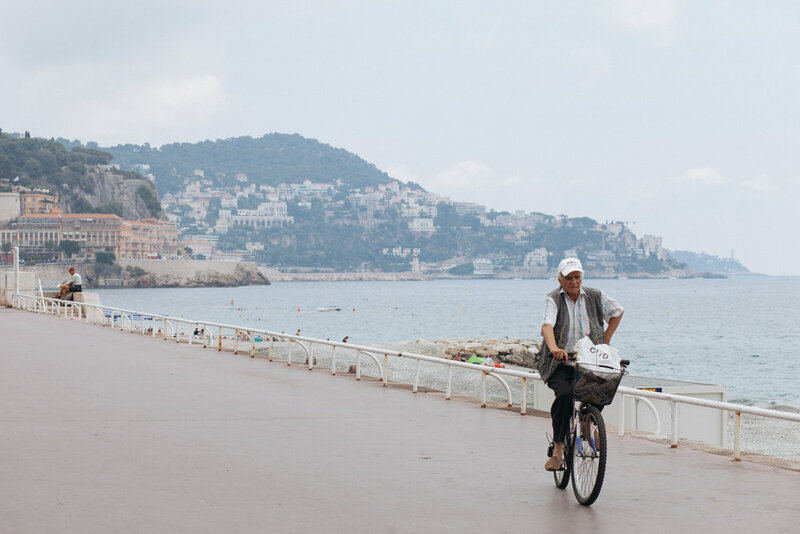 After getting lost in the streets of Nice, France, we joined up with the coastal promenade to wrap around the base of the mountain. The classical buildings combine with the hustle and bustle of scooters / mopeds / segways was a wonderful sight. It was getting hot, and we were sweating like maniacs. The closer we were to the water the more and more tempting it was to just jump in. We finally found a little inlet with a couple of leathery locals basking on the rocks and we decided… let’s just dip our feet in. 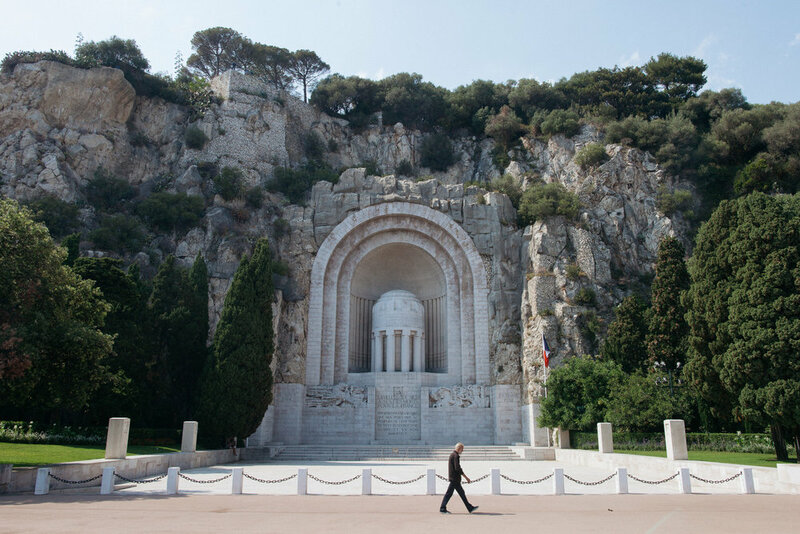 Monuments aux Morts - French war memorials established to commemorate the losses of World War I. The afternoon was approaching and we wanted to make our way back to the apartment. 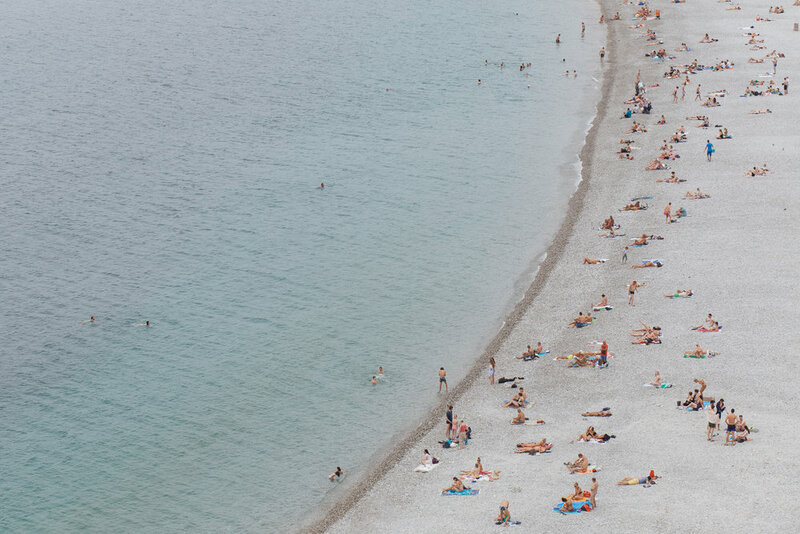 Emily & Mike had texted us to let us know they were going swimming… and we wanted to join. Thalassophobia - fear of being in large bodies of water, fear of the vast emptiness of the sea, and fear of distance from land. Finally took a quick dip - not necessarily enough to cool off entirely, but enough to get a taste of what the afternoon’s swim will be like. The water was warm (relatively) and clear. Absolutely gorgeous! We sped back from the water to our apartment to get changed. We simply couldn’t wait any longer; we had to go swimming. I texted Emily & Mike and planned on a meeting time and place for a quick dip. The views of the city were beautiful, and some of the fountains in the town centre had some incredible sculptures. FYI: you may think you’ve had gelato, but let me tell you. You have not experienced the most succulent, creamy, extravagant, beautiful, and unprecedented flavour until you’ve had the true italian dairy. I got tiramisu & hazelnut gelato, and Kaila got lime & pineapple sorbet. Kaila’s burnt to a crisp. Emily was smarter. She used sunscreen. After a quick dip in the Mediterranean, we all decided to hop on the last train to Monaco. Spontaneity at it’s finest. The schedule for the train allowed us about 15 relaxing minutes in Monaco before we needed to make the trek back - if we decided to just cab (20 minute ride), they think you’re one of them filthy rich billionaire gamblers at the Monte Carlo and they’ll charge you well over 100Euro. Not a good deal if you ask me. They were dressed to impress, however Michael and I were flip-flops and cargo shorts. Tourism at it’s finest. Visiting the Monte Carlo casino in Monaco was an absolutely surreal experience. First things first, we were obviously financially inadequate for the premises. This is the casino where not millionaires, but billionaires gamble - and ONLY them. This is the casino where 99% of James Bond casino scenes take place. We sprinted from the train station to the casino, watched million dollar cars drive through the valet (yes, that’s a $1.5 million Maclaren P1 on the right), then we sprinted back. My flip flops and cargo shorts just wouldn’t cut it. It was a lot of fun being surrounded by the world’s billionaires (or at least their cars). Despite it being a very short visit (under 45mins), it was worth it to catch that last train to and from Monaco. What an adventure. And my, what a day. 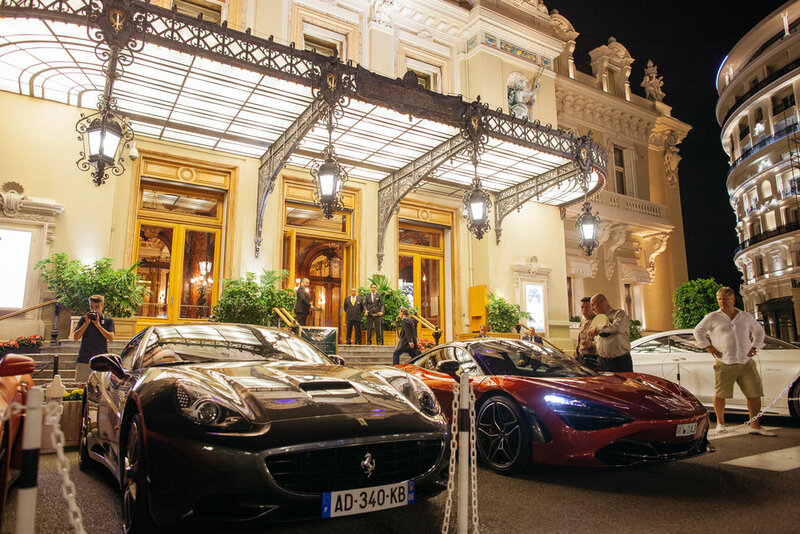 … We caught up with Emily and Mike over our afternoon swim and impulsively caught a train to Monaco to see the richest people in the world(’s cars) at the Monte Carlo casino. Here, Emily and Mike share a smile and a chuckle after a tireless sprint to the train station for the last and final train back to Nice. Emily and Mike rest after sprinting for the train. Turns out, we were sitting at the wrong stop at the station. 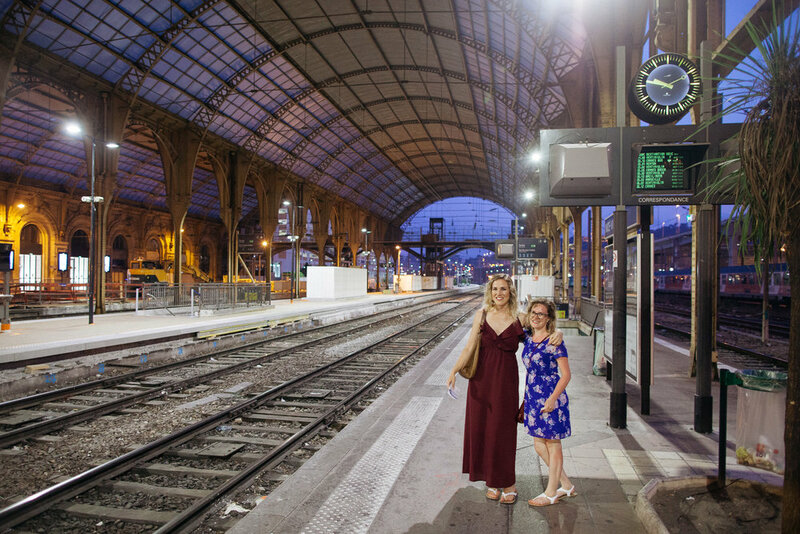 Not only did we speedwalk from the Monte Carlo casino back to the train station, but we had to sprint to the ‘night stop’ for the last train to Nice. Today was the day we say goodbye to Nice. It was a short but sweet visit the last couple of days, but it’s time to make our way to the Spanish villa for my brother’s wedding. In our usual DK Adventure fashion, we turned it into a road trip. The direct route would’ve taken us close to Barcelona before we went north to Lleida / Ponts, but knowing we’d hit it right at rush hour, we avoided it and went the northern path. Along this route, we connected with Mike and Emily to explore Nikes, where the Maison Carrée rests. This ancient architectural beauty was completed in 2 AD, 2015 years ago. Surrounding the seemingly untouched ‘house’ was the rest of the much newer city. It’s amazing that such an architectural marvel can just remain virtually untouched in the centre of a city for so long. People came to this incredible architectural structure and sat in the shade to enjoy their lunch on their break… in the same way that people take a stroll through the Byward Market. It’s incredible to see a city like this that has an original structure over 2000 years old where people just casually hang out. Kaila & Emily caught up on our little pit-stop in Nimes while Mike and I marvelled at the beauty of this seemingly untouched structure. In the same way I feel about Parliament Hill, people just biked/walked by this structure without even giving it a second glance. The only difference being, this one is over 2000 years old. Stopping in Nimes was a lovely break from driving. After visiting Maison Carrée, we scoped out a delicious Italian pizza restaurant around the corner. I had a pizza that was green, white, and red (an italian flag) and Mike, Kaila & Emily had caesar salads. Emily also found a caterpillar in her salad. She lost her appetite but I thought he was just trying to have a good time. He looked so happy. I had bathed in the dressing and was gorging himself on the greens. 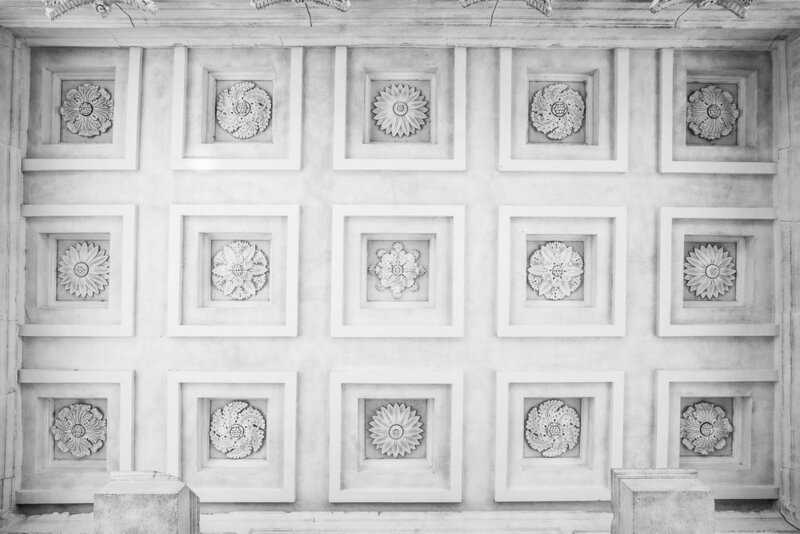 It was very interesting hearing Michael’s take on Maison Carrée, and European architecture in general. As an architectural illustrator himself, he noticed the difference of not only design but the culture surrounding the history. Cities in North America focus so much on disposable (glass) buildings, but in Europe they seem to make use of old buildings and renovate for housing, etc. Here in North America, we tend to demolish and rebuild with a modern appeal, and just build out suburbs with cookie-cutter housing / condo complexes instead of reusing legacy buildings. Totally different culture and methods. After Nimes, Michael & Emily parted ways with us - they took the short route to the villa through Spain. Kaila and I had other ideas - we knew that our plans to visit Andorra may very well be cancelled due to the approaching wedding at the villa… but we couldn’t just bypass that entire geographical area of Europe. Southern France is literally jam packed with national parks and protected areas - namely mountain ranges and unprecedented landscapes. The drive just kept getting more and more incredible. On a few separate occasions, we had to ask for directions… I don’t know Spanish at all, but I know a bit of French… enough to get by. I would ask “Anglais? Ingles? Francais?” and if nodded to any of them, I knew I was good. All I needed was directions to “toilette” and “petrol” - both of which gave us the most insane series of instructions from both the French and Spanish polizia. Don’t let this scenery fool you - on our drive through Southern France and along the border of Andorra, we got caught in the most intense hailstorm amongst the mountain weather. It wasn’t until we approached the border that we saw the gloomy clouds roll in. It just kept getting darker. This was the first (and hopefully last) time we had bad weather. There was only one highway road that tacked up the mountains to Andorra, and when the rain and hail started coming down, the road was blocked off due to flooding in the mountains. This left us stuck, halfway up a mountain, with lightning and hail all around us. We finally backtracked until we were able to cross into Spain through another scary mountain road. Once over the ridge, the weather calmed right down to where we could see more than 20 feet in front of us. The aftermath was essentially hail-covered roads and straight up rivers flushing mud and junk across the road. We actually saw a tree on fire after getting struck by lightning. We made it safely to flat ground and had a chance to recalibrate. France/Spain has so many nestled villages atop the rolling hills. Every turn on the winding road to the villa had a settlement with a fully functioning community. Living the simple life with such an incredible view out your bedroom window would truly be the dream. Although our drive was interrupted by the hailstorm in the mountains of France/Andorra, the timing was perfect for a peaceful sunset drive as we got closer and closer to the villa. The road continued to wind in and out of these jutting rocks, while the sky grew rich and vibrant in colour as the sun dipped below the horizon. We were happy to now be within an hour of the villa, knowing that rest and relaxation was a short drive away. It was getting dark, but as we drove up the side of the hill Kaila & I looked to the left to see the valley lit up purple and orange. This isn’t some fancy photoshop filter. This is actually what we saw with our own eyes. One last view along the winding road over the hill and toward the villa. We had finally made it to the villa. The Heretat de Guardia. 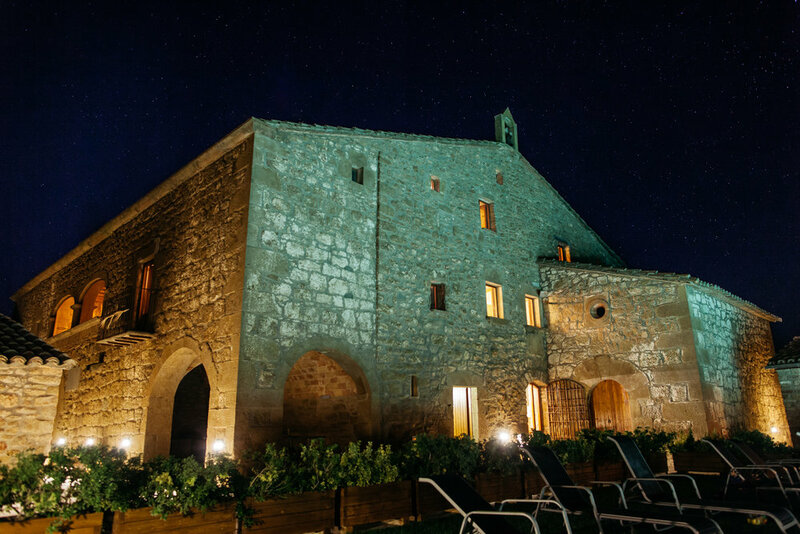 This AirBNB was a 15th century castle/farmhouse nestled in Lleida, Spain. It’s been kept in the family for over 15 generations. A perfect place for the wedding. It was equipped with a chapel, graveyard, wheat crop, saltwater pool, hot tub, sauna, and well over 1 million Euro in renovations. So happy to be out of the car and have a chance to relax for the next few days at such an incredible place like this. Waking up in a 500+ year old villa is a very different experience. 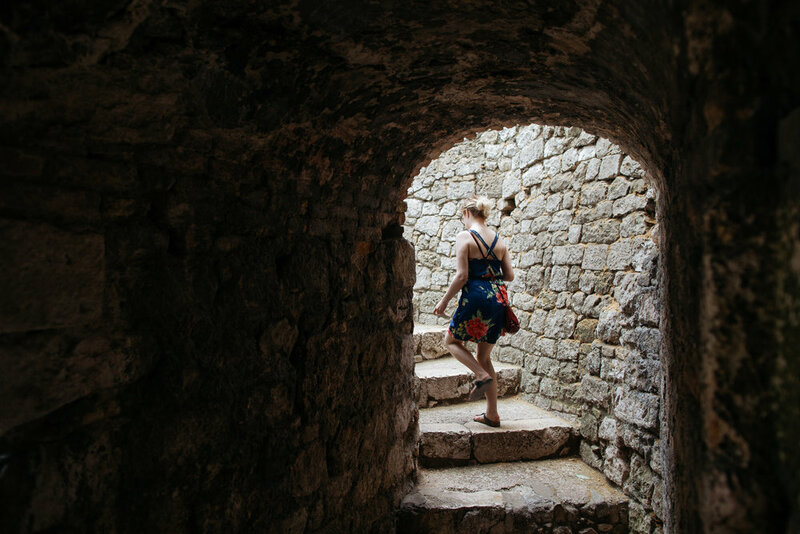 The lack of air conditioning isn’t as big of a problem as you’d think - the benefit of the stone construction means the outside stays hot but the inside stays cool. Leaving the windows open for nonstop ventilation and an “open concept” feel was fantastic. It was kinda crazy - we finally made it… and I know I’ve said that before, but just thinking of the fact that our entire family had arrived on another continent, on separate occasions, and have all congregated in one spot to celebrate my brothers wedding, it blew my mind. I was so happy to see everyone and be all in one spot… in another country… yet feeling like home. While the villa gave you the ‘spanish farmhouse’ feel, the modern renovations (amounting to over 1.5 million Euro) made sure you weren’t completely immersed in 15th century lifestyle. The back yard with a pool was where we spend 99% of our time. Kaila and I had a chance to catch up with our family and tell the stories of our adventures through Southern France. 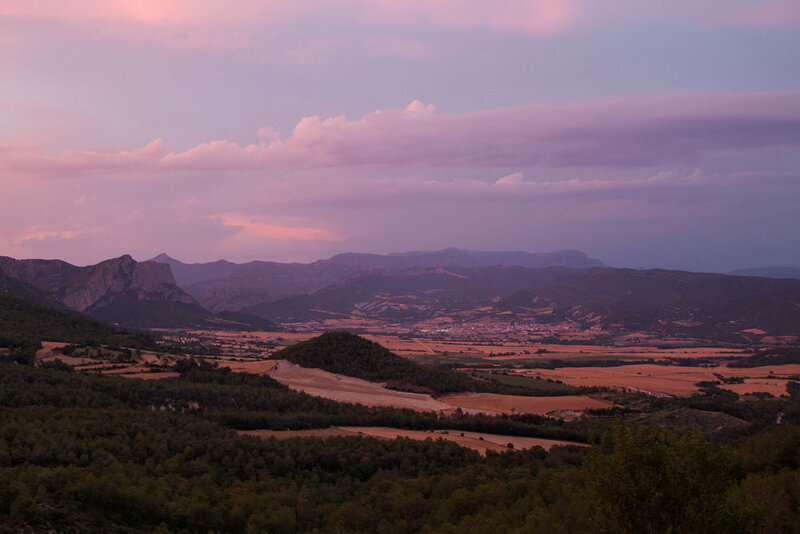 Just can’t beat this view though - the Spanish countryside was gorgeous and the weather was perfect. Emmett (my 2yr old nephew) shows me the front door to the villa. It was surreal being in a place that’s well over 500 years old as an AirBNB. Emmett sweeps the veranda in prep for the wedding. The villa was incredible. They renovated everything to make it functional for modern guests, yet they kept the original portions of the house virtually untouched. The old kitchen, winery (equipped with massive massive barrels), and ‘den’… all with original equipment. The farmhouse served as a winery for many years, and the stone grape-grinding rig is outside on the ‘front porch’. The villa was equipped with just about everything you need. Not only did it sleep over 20 people, but it had a pool, a pool table, a ping pong table… and endless more amenities. One of the fun areas for the little ones was just across the parking area - a tiny little pond full of frogs that made quite the racket at night. 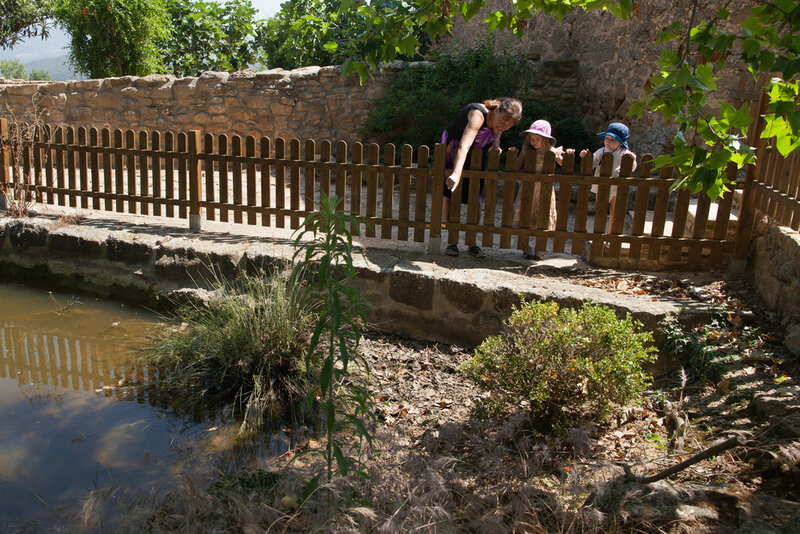 The villa had something for everyone - the kids enjoyed seeing all of the frogs in the pond. Kaila and I only had a few days in Spain - and a week in total in Europe. Kaila couldn’t get any more time off, and I had work commitments (weddings to shoot) before and after our return flights. We wanted to max out our time in Europe with a quick little road trip - it would be rude for us to take any more time away from the villa as they originally booked the place to have the whole family there. After the wedding, my family was off to Italy to hike the Stromboli volcano, while we would be on our flight back home. We took advantage of the downtime on Friday by taking a road trip around the countryside near the villa. Here we found a plethora of villages, some lakes and rivers nestled in the mountains, and quite a diverse landscape. The countryside was full of these incredible vistas, it was impossible to take a bad photo. These villas were all so well preserved. I’d be lying if I said I wasn’t envious of the immaculate view from these places. To be secluded in such a vast and impressive landscape would be the absolute dream. The diversity in the landscape was one of the first things that stood out to me. 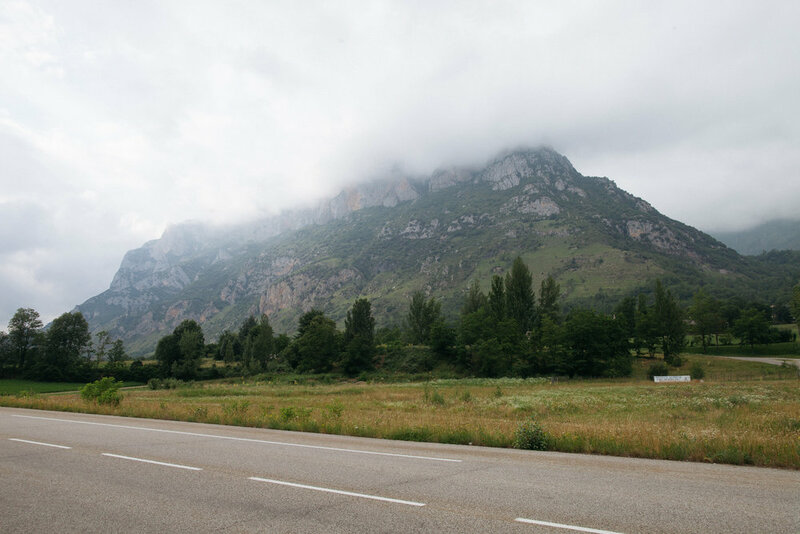 When we drove the day before from France / Andorra into Spain, we were weaving in and out of these mountains. 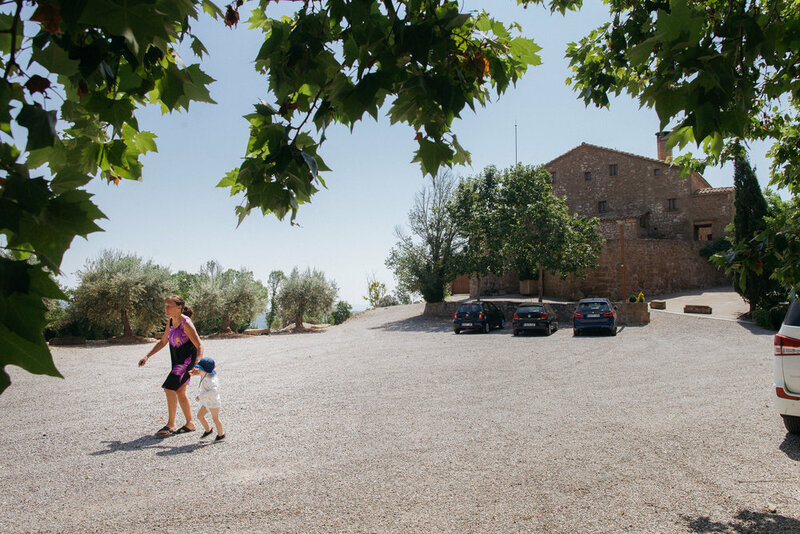 Upon arriving at the villa, the landscape transformed into subtle rolling hills and wheat farms. From the villa, we were able to see views like this in the distance, and all it took was a quick drive to get a closer look. Many times along the drive that zig-zagged through the mountains, we would stop and take photos. Photos never did the view justice. It looks beautiful no matter how you take the shot, but nothing at all will ever showcase the feeling and experience of the breeze and peaceful silence you get while standing on such incredible panoramic vistas like this. We arrived back at the villa to the sight of Amanda ‘rock climbing’ out of the window while Matt looked, in fear, knowing that his credit card was the security deposit for this AirBNB. Amanda has one of the most incredible and ever-changing skillsets. We hadn’t had a chance to hang out that often in the last few years given she lives in Vancouver and we live in Ottawa… so this time, catching up with her was awesome. She filled me in on all of the details about honey-bee farming, as well as her new recent obsession - Rock climbing. She actually met a few people in Europe that were going rock climbing the day after the wedding, so she decided she would practice. And yes, she brought all of this gear to Europe in her backpack… pounds upon pounds of rope and everything. She actually managed to do some rock climbing earlier in the day with my dad, and they found a rock face to anchor down safely. Apparently the rock, despite being in the shade, was exhaustingly hot from being in the sun for a better part of the day. You have to be very careful - rocks that have been in the sun all day retain so much heat that very quickly you could be drenched in sweat and dehydrated, despite being in the shade. The whole purpose of this vacation was for my brother’s wedding - however, having part of the week dedicated to travelling with my favourite travel-buddy was awesome. It ignited the wanderlust in both of us. ‘We’ll be heading somewhere else soon enough’ we keep telling ourselves. Also, how cool is the front door to the villa? Makes you feel like you’re truly experiencing the lifestyle of the 15th century. 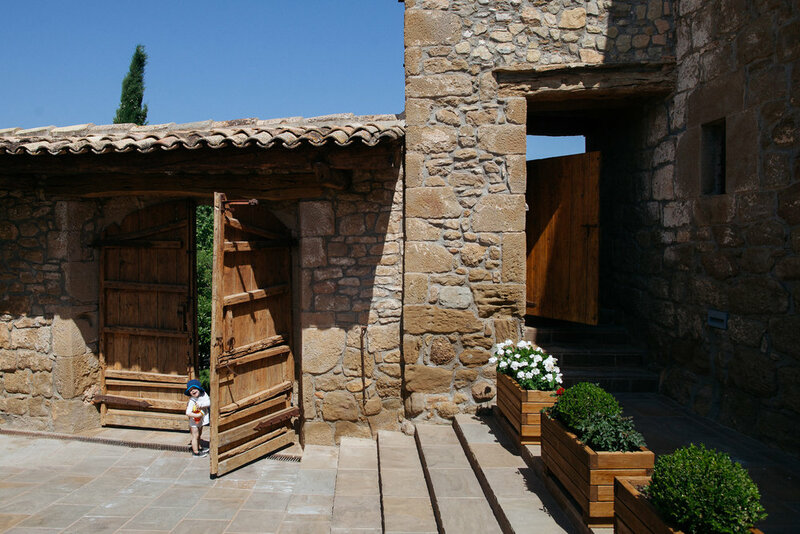 Many of the Spanish villas on the countryside were smart - designed out of stone several hundreds of years ago, they retained a cool insulated temperature inside. In order to help with the temperature, many were overgrown with trees and vines - partially for privacy I’m sure, but the drop in temperature was significant. Moments like this are to be cherished and not rushed. It felt like a long time while we were there, but we knew that flying home would creep up on us far too quickly. Now that Emmett has reached the age of walking and talking, it’s incredible to hear what he has to say. I think it’s an incredible experience as a family to take the time out of all of our busy schedules to congregate in such a beautiful place like this, and spend time together as a family. Moments like this are what we remember from our childhood. Emmett is forming memories based around the love and closeness of family, and the importance of shared experiences. That’s what it’s all about. It’s not about finding an app on an iPad to keep a kid quiet and busy, it’s about taking the time to share real experiences. Having a nephew was a very foreign experience in the beginning. My brother, who I’ve known my whole life, has had a little one of his own… it took a while to grasp the fact that we were all getting to the age of creating a new generation. Matt slid into the role with grace. Now that Emmett is 2 years old, all of these experiences we have together are building his character and collection of memories to help shape and define the kind of person he’ll be - but it all comes down to good parenting… and Matt and Sarah are great parents. It’s incredible to see someone that bullied me (just brotherly love, don’t worry) as a kid be so kind and loving towards his new little one. That's a very lucky kid. Emmett has a crush on auntie Kaila. He was very happy to see her when we got to the villa. Hearing “Uncle Davey” is still so weird to me. This was the view from our pool at the villa. It felt so incredible to be in the middle of nowhere, with all of our family together in one place. Tomorrow is the big day - my brother’s wedding. This was the calm before the storm, so to speak. I didn’t take many photos on the wedding day (weird, right?). Matt asked me to stand beside him as best man. I was absolutely honoured and incredibly happy to do so. Everyone sat around the pool enjoying the cool summer breeze before we cashed in for the night. Tomorrow was a big day! The wedding was incredible. We had a fantastic time. It was a huge weight off my shoulders to be a guest at a wedding for once. Kaila was stunning, as per usual. We were sad to say goodbye to the villa. Our flight was Monday, and on Sunday morning we had to drive back to Barcelona to drop off the rental car and check into our hotel. It was a beautiful experience and we’ll certainly be back, but at least we had one last day to capitalize on Barcelona… we were looking forward to it. We took our time driving back to Barcelona from the villa. The rest of the family was staying a few more days at the villa before heading to Stromboli to hike the active volcano. It was on my mom’s bucket-list. Barcelona was very tourist-y compared to the local immersion we experienced over the last few days - but the City of Gaudi was truly an incredibly sight. Never have I ever seen such astounding architecture. The first thing we did was check into the hotel, drive the rental car back to the airport, and bought a day pass for the bus. You can literally get all over the city with it. Here we are doing the most touristy thing ever… which wasn’t even that bad. We preemptively planned all of the spots we wanted to see in Barcelona. It may have seemed rushed, but our justification was that we wouldn’t be back for a while and as it was our last day, we wanted to max it out. Along the bus route were several cool places to see. 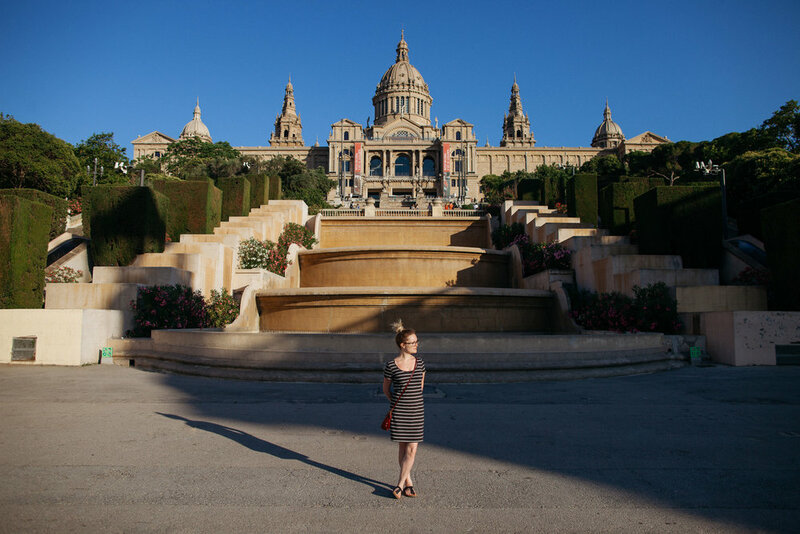 One of the more notable sites was the Museu Nacional d'Art de Catalunya. The promenade and stairs leading up to the museum were gorgeous on their own, but they also had a massive fountain out front that they would choreograph as a water show in the evenings. We didn’t stick around… we had more places to see in such a short amount of time! We were fairly quiet at this point in our trip. We had seen so much; so many amazing adventures in such a jam packed week. We were both looking forward to sleeping in our own bed, but at the same time, the return to reality was melancholy. It was early in the evening and we had a few more stops along the bus route. Excuse the mediocre photo. Let me explain. This is the Sagrada Familia - a minor basilica that is the late Gaudi’s pride & a joy. The construction of this cathedral started in 1882, and by the time Gaudi passed away (1926) it was only 25% complete. To this day, the cathedral is continuously under construction. All of that being said: the photos do not do this building justice, whatsoever. 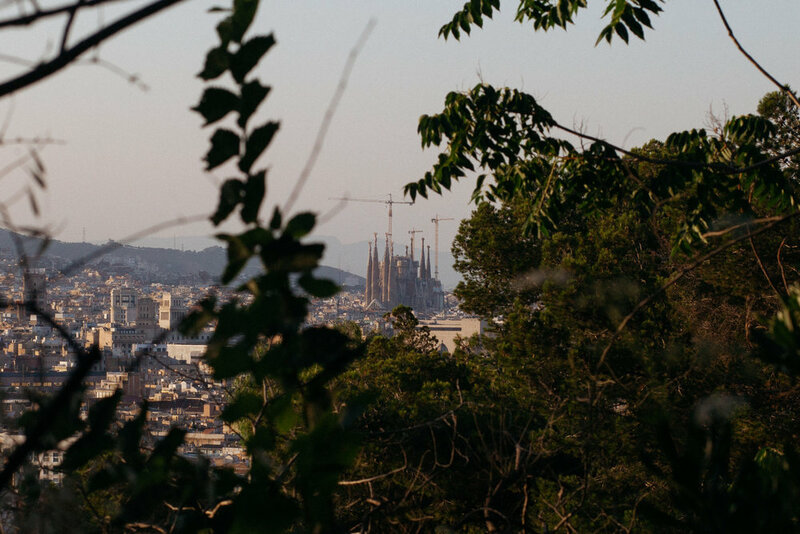 It literally towers over the entirety of Barcelona…. it is hands down the largest thing you’ll see on the horizon. We didn’t take the tour inside, but the view from the street was absolutely phenomenal. It was almost bed-time. We had a long day of flying coming up, and we knew that after dinner, the walk to the hotel would tire us out. We hopped back on the bus and scoped out a place to eat for our “last supper” of Europe. We had dinner at a seafood restaurant right on the beach of Barcelona before we started walking back to our hotel. Sunburnt and tired, we meandered through the heart of Barcelona amongst the vendors of fake nikes and yeezys, scored some incredible gelato to cool us down, and Facebook Live’d our walk just in case something interesting happened on our way. Well, what a journey it had been. We started in Barcelona, rented a car, drove to Nice, swam the Mediterranean, ate gelato, walked around the Monte Carlo and gawked at the cars of the billionaires, got caught in a hailstorm driving through the mountains of Southern France & Andorra, slept in a farmhouse over 500 years old, attended a wedding, hiked the countryside, and introduced Kaila to Europe for the first time in her entire life. This was a great way to get started back into blogging, and I appreciate you all coming along for the ride. I took a prolonged hiatus from writing on here, but rest assured I’m back with more DK Adventures along the way.